R. van den Brandt, C.C. de Visser, Safe Flight Envelope Uncertainty Quantification using Probabilistic Reachability Analysis, 10th IFAC Symposium on Fault Detection, Supervision and Safety, 51:628-635, 2018. T. Mannucci, E. van Kampen, C.C. de Visser, and Q. Chu, Safe exploration algorithms for Reinforcement Learning controllers, IEEE Transactions on Neural Networks and Learning Systems, 29:1069-1081, 2018. S.F. Armanini, M. Karásek, G.C.H.E. de Croon, and C.C. de Visser, Fusion of on-board and off-board measurements for high-fidelity time-resolved free-flight data for flapping-wing MAVs, AIAA Guidance, Control, and Dynamics, 40:2121-2132, 2017. P. Lu, E. van Kampen, C.C. de Visser, Q.P. Chu, Framework for Simultaneous Sensor and Actuator Fault-Tolerant Flight Control, AIAA Guidance, Control, and Dynamics, 40:2133-2136, 2017. R. Helsen, E. van Kampen, C.C. de Visser, Q.P. Chu, Distance Fields Over Grids method for Aircraft Envelope Determination, AIAA Journal of Guidance, Control, and Dynamics, 39:1470-1480, 2016. S.F. Armanini, J.V. Caetano, C.C. de Visser, G.C.H.E. de Croon, M. Mulder, Quasi-Steady Aerodynamic Model for Clap-and-Fling Flapping MAV with Parameter Estimation and Validation using Real Free-flight Data, Bioinspiration and Biomimetics, 11:046002 , 2016. C.C. de Visser, E. Brunner, M. Verhaegen, On Distributed Wavefront Reconstruction for Large-Scale Adaptive Optics Systems, JOSA A, 33:817-831, 2016. P. Lu, E. van Kampen, C.C. de Visser, Q. Chu, Nonlinear aircraft sensor fault reconstruction in the presence of disturbances validated by real flight data, Control Engineering Practice, 49:112-128, 2016. K.Y.W. Scheper, S. Tijmons, C.C. de Visser, G.C.H.E de Croon, Behaviour Trees for Evolutionary Robotics, Artificial Life, 22:23–48, 2016. H.J. Tol, C.C. de Visser, L.G. Sun, E. van Kampen, Q.P. Chu, Multivariate Spline-Based Adaptive Control of High Performance Aircraft with Aerodynamic Uncertainties, AIAA Journal of Guidance, Control, and Dynamics, 39:781-800, 2016. S.F. Armanini, C.C. de Visser, G.C.H.E. 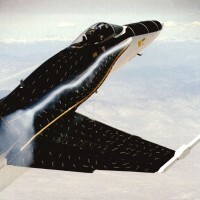 de Croon, M. Mulder, Time-Varying Model Identification of Flapping-Wing Vehicle Dynamics Using Flight Data, AIAA Journal of Guidance, Control, and Dynamics, 39:526-541, 2016. N. Govindarajan, C.C. de Visser, E. van Kampen, K. Krishnakumar, J. Barlow, V. Stepanyan, Optimal Control Framework for Estimating Autopilot Safety Margins, AIAA Journal of Guidance, Control, and Dynamics, 38:1197-1207, 2015. P. Lu, L. van Eykeren, E. van Kampen, C.C. de Visser, Q.P. Chu, Adaptive Three-Step Kalman Filter for Air Data Sensor Fault Detection and Diagnosis, AIAA Journal of Guidance, Control, and Dynamics, 39:590-604, 2015. J.V. Caetano, M. Percin, B. van Oudheusden, B. Remes, C. de Wagter, G.C.H.E. de Croon, C.C. de Visser, Error analysis and assessment of unsteady forces acting on a flapping wing micro air vehicle: free flight versus wind-tunnel experimental methods, Bioinspiration and Biomimetics, 10:1-22, 2015. P. Lu, L. Van Eykeren, E. van Kampen, C.C. de Visser, Q.P. Chu, Aircraft Inertial Measurement Unit Fault Identification with Application to Real Flight Data, AIAA Journal of Guidance Control and Dynamics 38(12):2467-2475, 2015. J. V. Caetano, M.B. Weehuizen, C.C. de Visser, G.C.H.E. de Croon, M. Mulder, Rigid-body kinematics Versus Flapping Kinematics of a Flapping Wing Micro Air Vehicle, AIAA Journal of Guidance, Control, and Dynamics, 38:2257-2269, 2015. P. Lu, L. Van Eykeren, E. van Kampen, C.C. de Visser, Q.P. Chu, Double-model adaptive fault detection and diagnosis applied to real flight data, Control Engineering Practice, 36:39-57, 2015. H.J. Tol, C.C. de Visser, E. van Kampen and Q.P. Chu, Nonlinear Multivariate Spline Based Control Allocation for High Performance Aircraft, AIAA Journal of Guidance, Control, and Dynamics, 37:1840-1862, 2014. L.G. Sun, C.C. de Visser, Q.P. Chu, J.A. Mulder, Joint Sensor Based Backstepping for Fault-Tolerant Flight Control, AIAA Journal of Guidance, Control, and Dynamics, 38:62-75, 2015. N. Govindarajan, C.C. de Visser, K. Krishnakumar, A sparse collocation method for solving time-dependent HJB equations using multivariate B-splines, Automatica, 50:2234-2244, 2014. L.G. Sun, C.C. de Visser, Q.P. Chu, and J.A. Mulder, Hybrid Sensor-Based Backstepping Control Approach with its Application to Fault-Tolerant Flight Control, AIAA Journal of Guidance, Control, and Dynamics, 37:59-71, 2014. L.G. Sun, C.C. de Visser, Q.P. Chu, and J.A. Mulder, A novel online adaptive kernel method with kernel centers determined by a support vector regression approach, Neurocomputing, 124:pp.111-119, 2014. J.V. Caetano, C.C. de Visser, G.C.H.E. de Croon, B. Remes, C. de Wagter, J. Verboom, M. Mulder, Linear Aerodynamic Model Identification of a Flapping Wing MAV Based on Flight Test Data, International Journal on Micro Air Vehicles, 5:pp.273-286, 2013. L.G. Sun, C. C. de Visser, Q. P. Chu, and J. A. Mulder, Online Aerodynamic Model Identification using a Recursive Sequential Method for Multivariate Splines, AIAA Guidance, Control, and Dynamics, 36:1278-1288, 2014. C.C. de Visser, M. Verhaegen, Wavefront reconstruction in adaptive optics systems using nonlinear multivariate splines, JOSA A, Vol. 30, Issue 1, pp. 82-95, 2013. C.C. de Visser, E. van Kampen, Q. P. Chu, and J. A. Mulder, Intersplines: A New Approach to Globally Optimal Multivariate Splines Using Interval Analysis, Reliable Computing, Vol 17, pp.153-191, 2012. C.C. de Visser, Q. P. Chu, and J. A. Mulder. Differential constraints for bounded recursive identification with multivariate splines. Automatica, 47:2059-2066, 2011. C.C. de Visser, Q. P. Chu, and J. A. Mulder. A new approach to linear regression with multivariate splines. Automatica, 45:2903–2909, 2009.